2. Design a Standalone Web Page: Throughout the live expo, you and your team will be heavily promoting your new product or product line to the masses; make finding online information about these new items as easy as possible by creating a standalone web page on your existing website. Your prospective clients will not only learn more about new product, they’ll also feel encouraged to click throughout your site to learn more about your company and services as well. 3. Promote: Promoting your new product is essential to start getting the word about your new offerings. Use your social media networks like LinkedIn, Facebook, and Twitter to share your booth number and what kind incentives you’ll be offering. Pre and at-show promotions are essential, but don’t forget to follow up after too. Also, most professional expos offer various media coverage resources to exhibitors. Contact the attending media participants well in advance to allow them to preview your products so they can support your launch with a feature piece of their own. 4. Hit Their Mobile: Roll out a mobile campaign and be sure to optimize for customers’ devices. Also, leverage transactional communication… research shows that 50% of consumers will download a brand’s mobile app to have access to special or exclusive offers. Keep your customers informed about your activity and their savings to elevate brand awareness and strengthens brand loyalty. 5. Host a Live Demonstration: Use your trade show booth to host live demonstrations throughout the show. Set a demo schedule and use it as a promotional item to get attendees to stop at your both. Post this schedule to your social media pages prior to the show and have it posted on your booth. If your product makes noise or attracts attention on its own, direct the crowd to come take a closer look. Another way to grab attention is to use crowd gatherers rope people in for you, so that you can focus on conversation and the customer in your space. After all, nothing gathers a crowd like a crowd! Not only will the crowd gather to see exactly what your new items offer, you will also gain invaluable insight on their reaction to your wares as well as how well they believe your merchandise performs. Word of mouth can be your best friend or enemy here, so make sure you have all the logistics worked out beforehand. 6. Offer Discounts/Free Samples: Finally, what’s the best way to get your new corporate items into the hands of your targeted consumer market? Offer promotional discounts and/or free samples at the event. 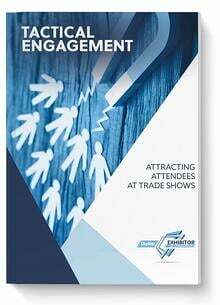 Giving the expo audience special consumer perks will boost their brand loyalty to your business and enhance the chance that they’ll seek out your merchandise long after the convention has ended. 7. Choose the Right Booth Staffers: This doesn’t mean filling your trade show booth with all your best sales people. Yes, your sales team plays a key role at any live event, but incorporating other employees such as your product manager and marketing team members can help deliver a comprehensive and informative overall presentation to your audience. Try using engineers or designers from who worked on the product as well, as they are great resources for the background and logistical questions. 8. Winner! Winner! : Be sure to enter your product into any “Best New Product” contests the show may have. It’s a great way to get extra credibility if you win, and to get extra attention just by entering. You might also consider what industry periodicals that could be solicited to enter into a new product feature or contest. Launching a product at a trade show is a major marketing feat, so make sure you’ve planned accordingly and promoted yourself accordingly. When launching a new product, don’t underestimate the power of promoting. Don’t be afraid to post pictures to social media sites during the show to give you an extra boost and draw more people while you’re already there. Attendees talk, so give them something to talk about. Make an indelible impression on attendees! 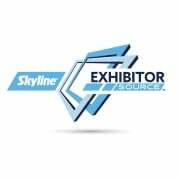 From 20’ x 20’ spaces to massive environments, Skyline can help. Learn more by downloading our free brochure!